At Macy’s, we sell dreams. In a world of influencers, continuous flows of visual content, constantly changing trends, and more options than ever before, people are finding inspiration from everywhere to create their identity and image. What we do is cull all those sources of inspiration—we travel the world, work with designers, identify leading influencers—and curate the best of the offerings every season to help our customer achieve their sartorial goals. Traditional thinking proposes a time-honored process: assign a budget for a category in advance of demand, place orders based off an estimation of needed supply, and then manufacture those goods. The next step is to place those goods in stores and online in hopes that customers will react to the buy. When they don’t, we take a pricing action to liquidate the inventory. This model doesn’t fly anymore in a world where people are streaming the fashion shows in New York, London, Milan, and Paris on their phones in real time, and want the latest trends instantly. The retail model has to evolve, and we are looking at several elements to achieve that. 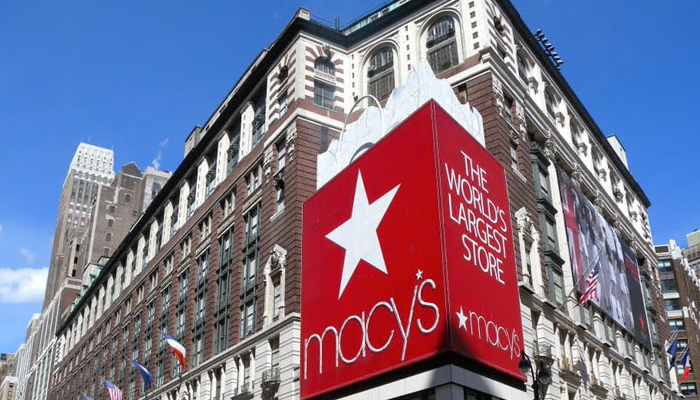 There are a few principles that I believe will fundamentally change how we shop, and at Macy’s we are taking steps to directly address these in new and innovative ways. The first is about exceptional fashion. Customers are looking for the latest trends and, as a curator of fashion from the runway to the street, we are inspiring them with editorial content. Through Macy’s Presents The Edit, a selection of highly curated, must-have items including our “It List”, we capture the essence of the season. We’re partnering with designers, artists and creative industry movers and shakers to create stellar collections that are only available at Macy’s. We’re stocking breathtaking fashion and backing it up with support from our MyStylist@Macy’s free personal shopping service to not simply provide customers with the stylish product they want, but also show them the trends they need. To be faster to market, we are looking at our production timelines for buying, sourcing and delivery, to be shorter and more responsive to customer demand. In addition, we are working to provide more product information, crowd-sourced reviews and engaging social communication. Digital tools such as shoppable video and influencer marketing showcase real-world trendsetters – including our own Macy’s Style Crew – to further communicate our fashion credentials. The second is personalization – we must understand and react to what the customer wants and when and where they want it. The guiding principle of retail – give the customer what they want – hasn’t changed in hundreds of years, but the way we can accurately predict and engage with our customer has. Through data, we can recognize tastes and preferences to offer a selection of carefully curated goods and services. We’re also able to go one step further and truly be inspirational, not only giving the customer what they want, but also offering products they didn’t know they wanted, but will ultimately love. We can tell them about those goods in the right platform – whether that be on their computer at home, on our app, in store or via their favorite social channels where they’re interacting directly with their communities and peers. By understanding their style, size, brand and other preferences, we are customizing their experience every time they engage with us. This is critical in creating connections that go beyond a transactional relationship. The experience is as important as the fashion, and both need to be fabulous and of-the-moment. The third is about value and convenience. We are innovating with pricing and check out so that once customers find what they’re looking for, they’re assured it’s at the best value and can get their purchase with ease. On price, we are cleaning up our promotions so that our customers can quickly understand the true value they are receiving when shopping for their favorite items. And we have also revamped our loyalty program to celebrate our best customers, giving them access to a host of incentives that will create further brand engagement, but most importantly inspire and make it easy for them to shop time and time again. We are also aggressively addressing in-store pain points, working to alleviate long lines at sales counters by introducing mobile checkout and having one-stop destinations for returns/exchanges and more with “At your Service” counters. The fourth brings it all to life in store with incredible experiences. Macy’s is not in the commodity business, we are in the fashion experience business. We aim to address physical and digital space simultaneously, creating an intimate experience in each. To address this, we are looking deeply at the role experience plays in the shopping journey – how customers are inspired to interact with a space, how that interaction evolves over time, and how building a sense of community gives the customer a reason to come back again and again. We are refining product selections to be relevant in communities across the country, reacting to immediate trends that appear on social media, and developing product displays that tell compelling stories. We’ve also added a host of features to our mobile app, like instore mode, which acts as a digital assistant for customers while they shop in our stores. The in-store mode of the app can help our customer locate fitting rooms, different departments, and even recognize and find a pair of shoes she saw someone wearing in a coffee shop or dress she saw someone wearing in her friend’s Instagram Story. It will also offer enhanced trend storytelling, so you know what’s hot right now and allow for UPC barcode scanning, plus so much more. But it doesn’t stop there. From marketing, to shipping, to our use of data both big and small, to evaluating our organizational structure and the roles we play in the customer journey – we are evolving every day. In the years to come, retail will continue to change beyond our wildest imagination and will bring forth something unrecognizable in its use of technology; however it will be much more personally enjoyable than the friction fraught journey of today.